This Bicycle Shaped Gel Candle has really taken the idea of having quirky shaped candles to the next level. Now it has become possible to Read More..own candles for the purpose of accentuating home décor and simply not as a substitute in case of power outages. 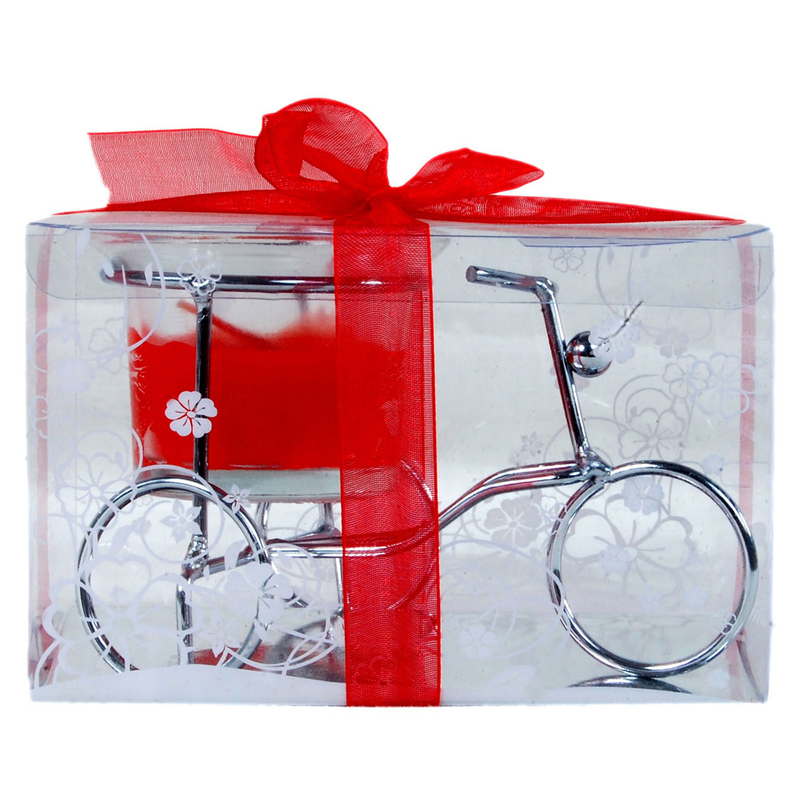 The gel candle nicely compliments the tiny bicycle shape to provide a unique look to everyone. Finally, the attractive packaging along with red fancy ribbon helps in making this piece even more desirable to everyone. Show Less..